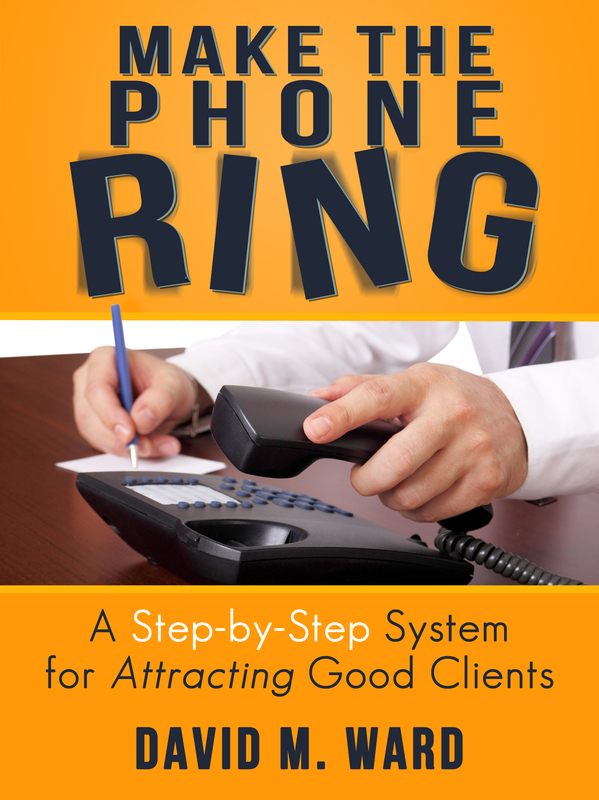 The Attorney Marketing Center announced the release of a new course, “Make the Phone Ring: A Step-by-Step System for Attracting Good Clients.” The course is primarily about Internet marketing for attorneys, says David M. Ward, author of the course and CEO of The Attorney Marketing Center, but also shows attorneys how to get more referrals. 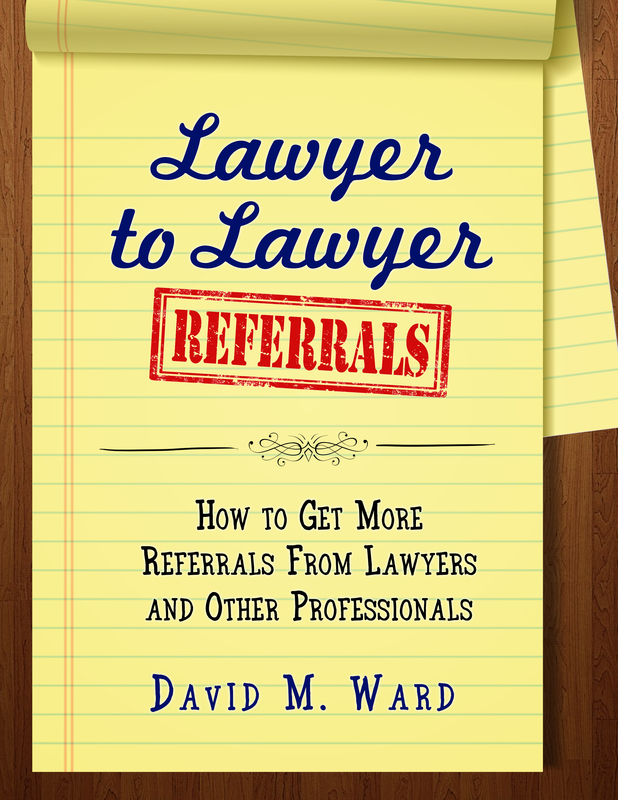 Ward, a former practicing attorney, taught himself how to get clients online and says too many attorneys spend money on high priced consultants or expensive websites that bring very poor results. “Internet marketing for attorneys is not that difficult once you know what to do,” he says. In addition, a website that provides this information will also attract those prospective clients through search engines and social sharing. “Internet marketing for attorneys is actually quite simple. The more information on your website, the more likely it is that prospective clients will find you and sell themselves on hiring you,” Ward says. Ward based the course on his system of marketing online. He says that every day his website attracts attorneys who are looking for the solutions he offers and he doesn’t spend a lot of time or money on marketing. Most attorneys can do what he does in a couple of hours a week, he says. “Make the Phone Ring” is available as a pdf download at Ward’s website. For additional information, please visit The Attorney Marketing Center. Holy shitakes, Evernote adds reminders! Evernote announced today the addition of reminders on Mac, iOS, and their webapp, and promises to soon roll out the feature to Windows, Android, and other platforms. This long awaited feature is the missing piece of the puzzle for those of us who use Evernote for tracking our tasks and projects. We can now add a reminder to any note, include a date and time, and receive notifications via the app and email. For the first time, we can schedule future due dates (or “start dates”), without having to use a funky workaround. If you have a document due in 60 days but don’t want to work on it right now, for example, you can set a reminder for, say, 45 days and forget about it. On the 45th day, you will be notified that it’s time to work on that document. Which means you won’t have to put a reminder on your calendar or in any other reminder applications. We are told they are working on many more features. I hope that includes multiple reminders. If so, then you can schedule the due date for 60 days hence, and a start date for 45 days. Recurring reminders would also be welcome. I’ve just started using this feature but I can already say this is a very exciting addition to my number one productivity app. Give it a try and let me know what you think. Want to see my Evernote set up? 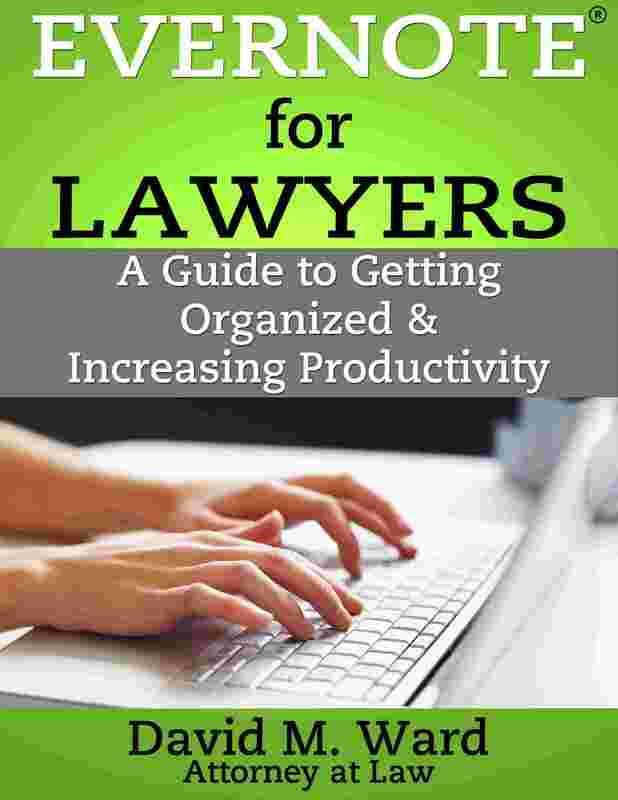 Get my Evernote for Lawyers ebook. Yesterday, I wrote about the subject of scarcity and how you can use it in your marketing to get people off the fence. When something is in limited supply, or the clock is ticking and a deadline is approaching, a fear of loss kicks in and motivates action. The ultimate in scarcity is “no longer available.” When you know that something you want (but have not yet purchased) is going away and may never come back, The Force compels you to reach for your credit card. Or something like that. 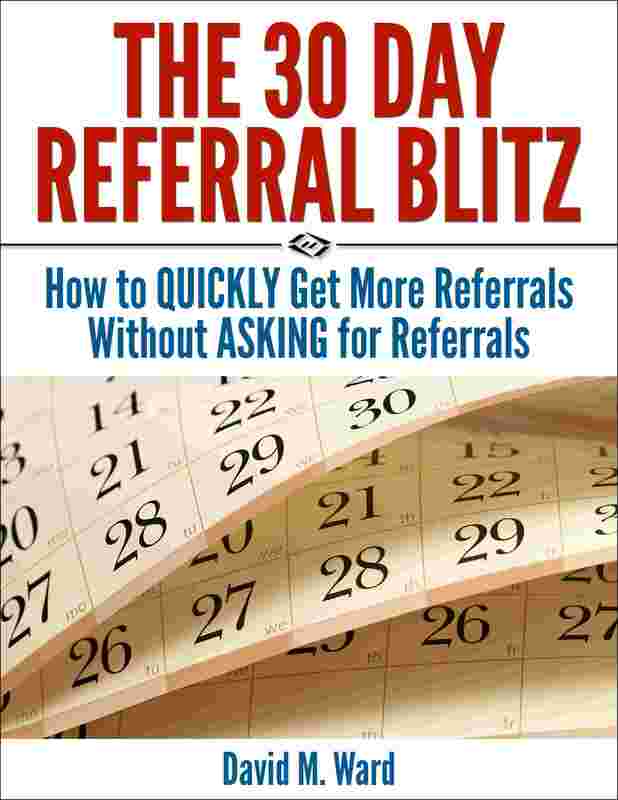 For many years, I sold a referral marketing course for attorneys. It was the first of its kind and I sold millions of dollars worth of that course, all over the world. 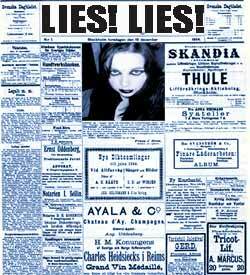 I took it off the market a couple of years ago, intending to update and re-release it. I still hear from attorneys who bought my course, way back in 1996. They want to know when I’m coming out with the new version. I also hear from attorneys who have heard about the course and want to know when they can order it. The answer is, I don’t know. It’s a big project and I’m working on other things right now and my plate is full. “Not available” is about as scarce as it gets. People want it but can’t have it. Value increases. Demand increases. The point is, if it was always available and you could order it at any time, that demand and that perceived value wouldn’t be the same. That’s the rationale behind the “product launches” you see on the Internet. There’s a big run up to the launch and then the product is removed from the market. Once it’s gone, you can’t get it at any price. No surprise, they sell a lot more of the product during the launch period because people don’t want to miss out. So. . . what if you announced to your clients that you from this point forward, you would only accept clients who are referred to you by other clients. What do you think would happen? Yes, demand would go way up. We see physicians do this. When you hear that a doctor is no longer accepting new patients, that’s the doctor you want, isn’t it? Well, you may not be ready to announce something like this. But what you could do is announce that starting next month, you are strictly limiting the number of new clients you will accept. You’re super busy and can’t give proper attention to everyone (or you want more time for your family) and so you have to be much more selective about who you accept as a client. That’s something you should do, anyway. Continually upgrade your client base by eliminating (or not accepting) smaller clients and cases or the ones who give you the most trouble. Announce it, promote it, and you should see demand for your services go up. Later this month, I’m changing over to a different shopping cart and payment system. In order to do this, I am taking two of my products off the market. I probably won’t re-release them, at least for the foreseeable future. Anyway, before I remove them, I wanted to give you a chance to pick them up at a great price. So for the next few days, you can order either Cash Flow for Attorneys or The Quantum Leap Marketing System at 50% off the regular price. To get the 50% discount, click on the order button and enter the code <final> (no brackets) in the coupon box. Click to “validate” and you’ll see the price change below to reflect the discount. The Quantum Leap Marketing System shows you how to quickly bring in a lot of new business. It’s over ten hours of videos and comes with some great bonuses. You can see what’s included at http://quantumleapmarketingsystem.com. Important: When you get to the big box that says, “Add to Cart,” scroll down a bit and click on the link for “one payment”. On the next page, (near the top), you’ll see a box that asks for a “Coupon”. Enter the code <final> (no brackets) and click the link to validate the code. The price will change below to reflect a 50% discount. After you order, you’ll receive a confirming email with download and/or access instructions. Please make sure to download everything as soon as possible. If you have any questions, please email info@attorneymarketing.com. Please note, all sales are final–there will be no refunds accepted, so make sure this is something you want before you click the button. You have the rest of the week to get these. And then. . . they will be gone. Would you like some help getting the new year off to a good start? If so, I have a special offer for you. It’s a private strategy session with me. You and I, on the phone, discussing your practice, your goals, and your marketing. What will talk about? Well, what do you need help with most? Your web site or blog (or how to start one)? Networking, advertising, social media, speaking? Building your list? Getting more traffic? During the call we will review what you are doing now, where you want to be this time next year, and how you are going to get there. You can ask me anything. And if you don’t know what to ask, I’ll ask you questions and give you my advice. Here’s the deal. . . These sessions are normally $500 each. As a special for the start of 2013, I’m offering a very limited number of “New Year strategy sessions” for the discounted price of $250 per session. I’m limiting the number because (a) I expect there to be a boatload of interest right after the new year, and (b) I have many thousands of subscribers and limited time. Email me with your contact information and let me know you paid to lock in a slot for one of these sessions. I’ll email you back to confirm and to set up our call. I look forward to helping you make 2013 your best year ever. If you want to learn how to create a marketing plan that really works, click here. As I mentioned last week, this Wednesday, at 2 pm PT, I’m being interviewed and you’re invited. Among other things, I’ll be talking about my latest marketing course, The Attorney Marketing Formula. One of the themes throughout The Attorney Marketing Formula is leverage–getting bigger results out of the same effort. 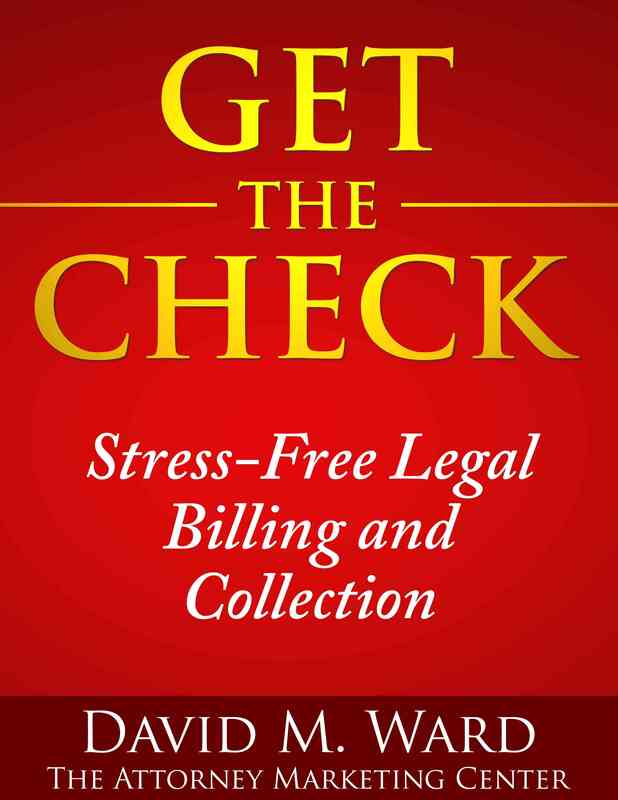 A simple example of leverage in marketing a law practice is the use of forms and checklists. You invest time to memorialize a process and then use that process over and over again, saving you lots of time, reducing errors, and impressing the hell out of your clients who see how remarkably well organized you are. Another example of leverage is focusing on your current and former clients as a source of repeat business and referrals in preference to other ways of seeking new clients. There are much lower costs associated with marketing to people who already know, like, and trust you, and much better results. Even if someone can’t hire you again right now, and doesn’t know anyone they can refer, there are other ways they can help you. They can send traffic to your web site through social media, for example, or forward your email to their friends and colleagues. A marketing joint venture with professionals and business owners to get exposure to their lists is another form of leverage. If you’re a small business attorney, for example, you could get together with an accountant, a tax lawyer, a commercial insurance broker, and a financial planner. Each of you contributes a report, article, audio, or video, and the four of you send (or offer) this collection to your lists. Or, you can put together a bundle of services for the small business owner, with discounts and/or free services from each of you, and offer this bundle to your lists. Anyway, I hope you’ll join us on Wednesday and bring your questions. I’m looking forward to speaking with you! Save an extra $10 on The Attorney Marketing Formula through 5 pm PT tonight, November 26th. Use discount code “thankful”. Next week, I will be interviewed by attorney Mitch Jackson on his Spreecast channel. The subject: The Attorney Marketing Formula, the course that teaches you how to earn more than you ever thought possible. Please join us at 2 pm Pacific time on Wednesday, November 28. The event is free and open to everyone. Bring your marketing questions and I’ll answer them live on video. Or, if you can’t make it, send me your questions in advance. The show will be recorded and you can watch later. Register here, or just bookmark the link to watch the replay. 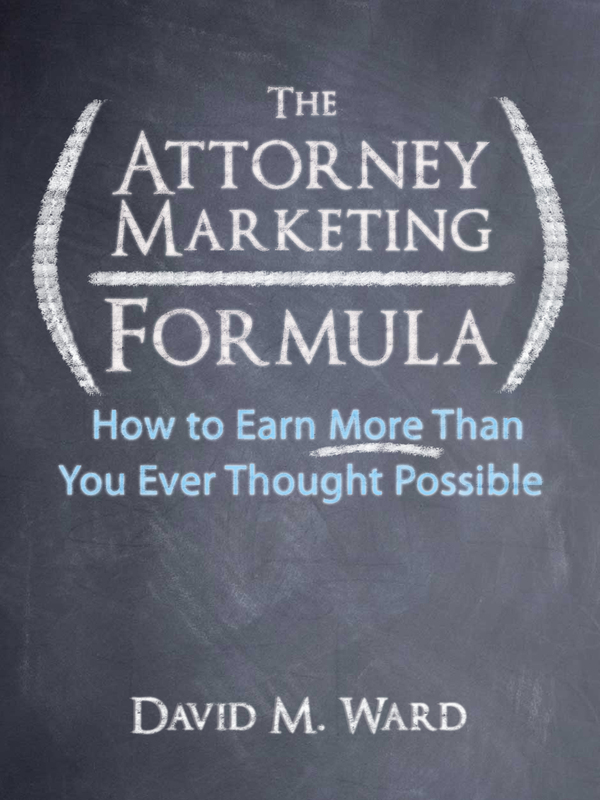 If you don’t yet have a copy of The Attorney Marketing Formula, you can save an extra $10 through the Thanksgiving weekend. Use discount code “thankful” (without quotes). This promotion runs through Monday, November 26, 2012 at 5:00 pm Pacific. I appreciate you and look forward to seeing you next week. If you celebrate Thanksgiving, I hope you have something special planned. The Attorney Marketing Formula is way better than a 40-inch TV. Save an extra $10 with discount code “thankful”. So we have some health care news. Now what? Your clients and prospects are wondering what it all means. What do they have to know? What do they have to do? What will it cost them? What’s next? This is a great opportunity to provide some answers. Leverage news events like these to add value to the lives of the people who follow you. They will appreciate you for sorting it out for them and the next time you write, tweet, post, or otherwise open your mouth, they will be more likely to pay attention. If you don’t know what to make of everything yourself, there’s plenty of help available. Here’s an article that explains, “How Will the New Health Care Law Affect Me?” Here’s one about, “How Your Business Will Be Affected.” You can use articles like these as a starting point to write your own summary. You don’t need to write a comprehensive legal analysis (unless your clients are in the health care field or are affected more than most). Give them the who, what, where, when, and why. But be careful with the why. If you get political, you may alienate a lot of people who put food on your table. Show people they can trust you. Give them the facts. Help them understand. If you’re a regular reader of this blog, you know how much I love Evernote. I use it for everything: notes, documents, writing, task management, you name it. Today, I’m proud to announce the release of a new eBook, “Evernote for Lawyers: A Guide to Getting Organized & Increasing Productivity“. Lawyers manage an incredible amount of information and finding that information quickly is imperative. More and more attorneys use Evernote for capturing notes and web clips, and initially, that’s all I used it for. I’ve since discovered many other ways Evernote can be used to organize the information in my life, and that’s what this book reveals. Topics include using Evernote for research and writing, time and billing support, marketing and career development, and managing client files and documents. Other chapters include, “going paperless,” “data security,” “working with email,” and “working with your calendar”. Attorneys who use David Allen’s Getting Things Done® methodology (or want to), will want to read Chapter 4, which covers this subject at length. I’ve written before about my Evernote/GTD system. Evernote for Lawyers presents my latest thinking on this subject, as well as the latest updates to my gtd system and work flow. Evernote currently has 20 million users world wide and was recently honored as Inc. Magazine’s 2011 Company of the Year. Evernote is free and is available for Windows, Mac, on the web, and all major mobile platforms. A premium version with enhanced features is also available. I’m sure you read the story about the blogger in a defamation case who got hit with a $2.5 million judgment because, the judge said, she is not a journalist and was not protected by the state’s shield laws. You read the story but did you make any money with it? Attorneys can easily leverage a story like this to get more media attention, more traffic to their web site, more prospects, more referral sources, and more clients. And I’m not talking about the attorneys who handled the case itself, I’m talking about you. Interested? Here’s all you have to do. First, write a two or three page report summarizing defamation laws in your jurisdiction. You don’t have to practice in this area to do this, Uncle Google will help you, or you can ask an attorney friend who does (and tell him about this idea so he can do it, too). In your report, mention the case about the blogger. Offer your opinion. Include a few citations, maybe a few resources. Now, go back to Uncle Google and ask him to give you a list of bloggers in your target market(s) who are in your state or province. Next, contact these bloggers (a personal email will do) and tell them you wrote a report for bloggers about how they can protect themselves against lawsuits like the one in the news. Offer to send it to them, free of charge. Tell them they are welcome to send it other bloggers they know and care about. (If you know the blogger, you could just send them the report in your first email). In one day, you can get your report into the hands of dozens of people who every day write and influence the people you are targeting for your services. You have provided value to the blogger on a personal level, and asked nothing in return. Where can this lead? Interviews, hosted webinars for their readers, guest posts, referrals, introductions, you name it. It doesn’t matter if you don’t practice tort law. If you do, that’s an added benefit, but the point of this effort isn’t to show these bloggers you can help them in this particular area of the law, it’s to meet them. Send it to local media with a cover letter letting them know you are available for interviews. Call or email your clients and contacts: Who do you know in (your area) who writes a blog? Tell them you have a report that can help them. Offer it through social media; post a video on youtube, opining on the story and linking to your report; offer it via forums, chat groups, listserves, and other areas where bloggers and people who know bloggers congregate. Contact local blogger groups, business groups (anyone who has a blog), and offer a lunch talk. Write about it on your blog or in your newsletter. Take out ads and offer the report, as a “public service”. Do a presentation at your bar group’s next function on how you used a news story to market your services. Oh, and you don’t need a news story to do this, you can write about anything that affects people in your target market or they people who influence them. It’s about providing value in a leveraged way. It’s simple and it works. And if your report goes viral, it could help you take a quantum leap in the growth of your practice. Each week, the editorial staff of SmallLaw, Technolawyer’s email newsletter, sifts through hundreds of articles on the legal Web. From these articles, they select one as their Pick of the Week. I’m proud to report that my post on “What to give new clients when they sign up,” was chosen Pick of the Week in the September 20, 2011 issue of SmallLaw. Many awards given out these days are meaningless because marketing can play a role in determining who wins. By contrast, those who win our SmallLaw Pick of the Week don’t even know they’re in the running, and could not influence us even they did. It’s a pure editorial award. We think this process makes it meaningful and a true honor. I am indeed honored to be chosen and proud to share this news with my readers.